Acapulco announces a massive increase in the number of new cruise ship arrivals throughout 2017. The city’s port is expected to welcome 32 ships this year, versus 18 for 2016, a 78 percent increase. Currently, the following nine cruise lines operate in the city: Norwegian Cruise Line, Regent Seven Seas, V-Ships, Silversea, Oceania Cruises, Crystal Cruises, Global, Saga and Hapag Lloyd. Acapulco will continue to promote and supervise its port’s operations to attract more ships, in collaboration with international cruise lines. Earlier this year in March, a delegation headed by the Acapulco Tourism Board and integrated by the directive of the Integral Port Administration (API) of Acapulco, executives of the Acapulco Destination Marketing Office and several tour operators were present at the international convention, Seatrade Cruise Global, held in Fort Lauderdale, Florida. The delegation met with the major shipping companies. Similarly, a firsthand report on the operation of cruise ships at the destination is distributed monthly to the Florida Caribbean Cruise Association (FCCA). Additionally, Acapulco recently announced that it will be the port of origin for the 1,400 passenger Magellan cruise of Cruise and Maritime Voyages, starting in the winter of 2018. The roundtrip cruise will depart from Acapulco and make stops in Ixtapa-Zihuatanejo, Manzanillo, Puerto Vallarta, and Cabo San Lucas, before returning to port. 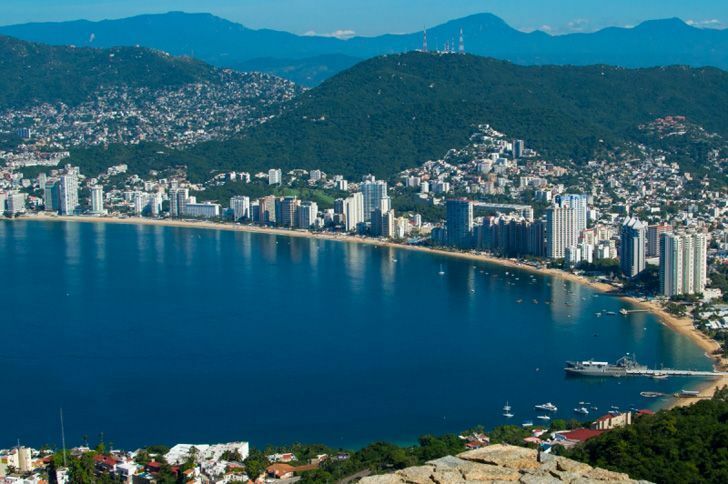 Acapulco is a destination that attracts both national and international travelers year-round to enjoy the destination’s beaches, nightlife, natural attractions and the local people’s warmth and hospitality. New attractions in Acapulco like XTASEA, the world’s largest over water zip-line, spanning over a mile and crossing the Bay of Puerto Marqués, along with long time favorites like the La Quebrada diving cliff are major draws for cruise line passengers to Acapulco. Cruise operations in the Port of Acapulco are assisted by the Center for Tourist Attention and Protection (CAPTA), an innovative organization recognized worldwide for tourism assistance and safety implemented for the first time in Mexico. The federal, state and municipal authorities reiterate their commitment to the successful operation of the cruise ships in Acapulco and will continue collaborating with the international cruise lines, resolving their concerns while continually attracting tourists, as well as providing the necessary conditions for their visit.